After spending a few years working on The Beatles Anthology project, it was clear that Paul McCartney wanted to continue revisiting the sounds and styles of the past when he resumed his solo career. 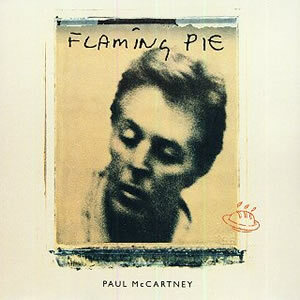 Flaming Pie, McCartney’s tenth solo album, was a success in achieving this goal as it features an array of styles which pinpoint musical moments with and without the Beatles. This was also an album where McCartney collaborated with Ringo Starr as well as a couple of his own immediate family members. 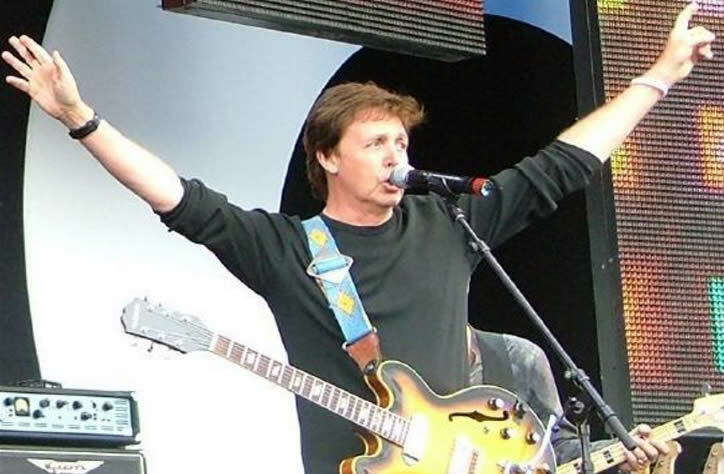 Coming into the decade of the 1990s, McCartney was one of the highest grossing rock acts. Still, he decided to branch out into orchestral and opera music with Liverpool Oratorio in 1991 and electronica music the final year with Strawberries Oceans Ships Forest. In 1993, McCartney released the pop/rock album Off the Ground, which would be his last studio album for the next four years. 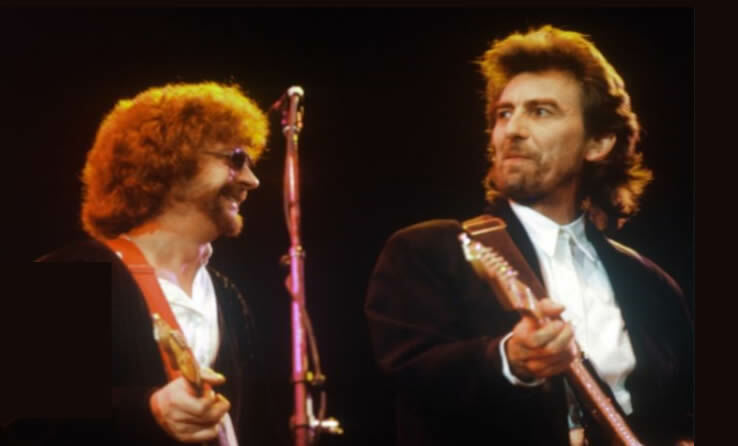 Following the completion of the Anthology project, McCartney teamed up with co-producer and multi instrumentalist Jeff Lynne with the intention of producing something “pure and easy”. The album was recorded over the course of two years and included new material as well as some songs initiated in previous years. These sessions also produced excess material, most notably the “Oobu Joobu” series of rare tracks. The album’s opener, “The Song We Were Singing”, is instantly rewarding and pleasant as it alternates between softly picked acoustic folk verses and the strong, Scottish-folk influenced choruses. Philosophically it centers around the core of McCartney’s existence, the “song”, and it appears to allude to his relationship with John Lennon. The pop radio hit “The World Tonight” features verses with interesting harmonies before McCartney breaks out vocally in the pre-chorus as well as a slight but excellent piano later. 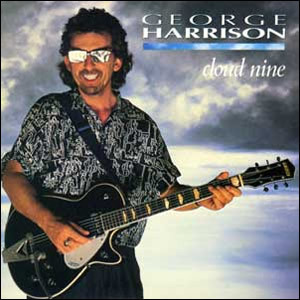 As the album settles in, we have “If You Wanna”, an acoustic rocker with some strong late seventies, early eighties pop elements along with some excellent lead guitars, followed in contrast by the picked acoustic ballad “Somedays”, the first of two tracks produced and orchestrated by Sir George Martin. “Young Boy” is a standard, but pleasant, pop / rock track where McCartney teamed up with the legendary Steve Miller. Later on the album, the duo returns on the bluesy “Used to Be Bad” where Miller shares lead vocals and proves that he has the better blues pedigree as McCartney’s lines sound more like a novelty. 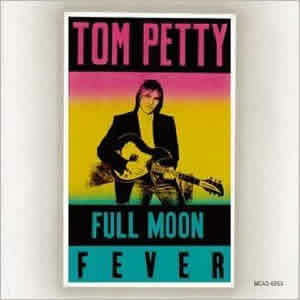 The acoustic picked “Calico Skies” was written in 1991 during a hurricane blackout while the title track, “Flaming Pie” features a sound that is pure late-era Beatles, with boogie piano accented by crisp, distorted guitar riffs. “Heaven on a Sunday” takes a soft jazz approach with pleasant melodies, backing vocals by Linda McCartney and a great contrasting, whining rock lead guitar by son James McCartney. The album’s final stretch features some of the more interesting tracks. “Souvenir” is a sonic masterpiece from beginning to end, using some classic rock motifs and a melancholy ballad approach, while “Little Willow” is a sad ballad which McCartney wrote for the children of the late Maureen Starkey, wife of Ringo. Next comes a unique composition by Paul and Ringo,”Really Love You”, with a kicking rhythm focused on the strong bass and drum beat and a classic blues / soul / R&B feel. “Beautiful Night” is a grandiose song with grandiose production by Martin and soaring vocals and lyrics by McCartney. His strained vocals through the later half of this power ballad makes it an instant classic. 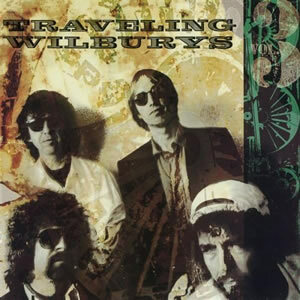 Wrapping up the album is “Great Day”, acting almost as the reciprocal of “Beautiful Night” with simple finger-picked guitar and hand percussion. This closing track features Linda McCartney joining on backing vocals, which would sadly be her last collaboration with Paul as she passed away a year after the album’s release. Flaming Pie was a success on both sides of the Atlantic, peaking at number two in both the UK and US. It has grown to become one of McCartney’s most critically acclaimed albums of his long solo career. A New World Record by E.L.O. 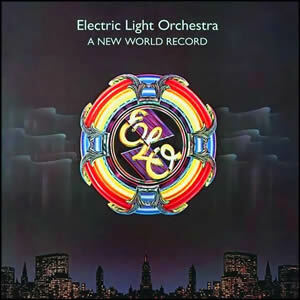 The sixth overall album for Electric Light Orchestra (E.L.O. ), A New World Record would become the band’s breakthrough worldwide. Lead singer, chief songwriter, and producer Jeff Lynne later said he considered this album to be the band’s pinnacle (and he may be right). 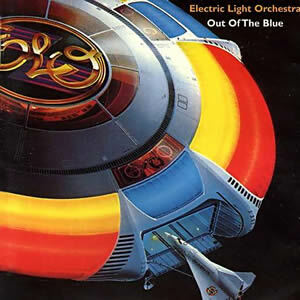 The album combines the better elements of ELO’s of previous works – great pop sensibility and melody with deeper orchestral arrangements and polished production. 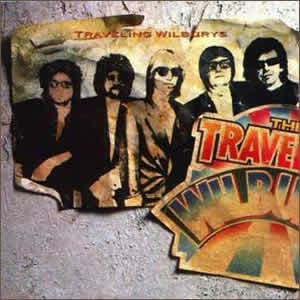 It is also a transitional album where the sound of the band becomes less progressive and more radio-friendly, with no less than four “hit” songs charting from A New World Record, helping the band to finally break through in their native England. A New World Record was recorded at Musicland Studios in Munich, Germany, the same location where ELO recorded their previous album Face the Music the year before (it is also the same location where our most recent review Presence by Led Zeppelin was recorded). This studio in the basement of a majestic hotel along with its famed engineer Reinhold Mack. Many have describe the band’s sound as The Beatles advanced about a half decade later, and there is definitely audio evidence to back that assertion, but there is much more here. 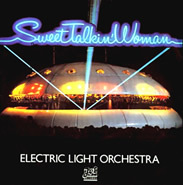 Although on one level completely unique, the sound that Jeff Lynne and the band forged through the mid-to-late seventies was the perfect soundtrack for the colorful, bright, and “Star Wars” motif of the era. Further, while many sentiments migrated to the polar extremes of disco and punk when abandoning the over-indulgent virtuosity of progressive rock, E.L.O. chose a more mainstream, roots-rock core just as the generation which grew up in the 1950s were feeling nostalgic for this music. This same core was never truly abandoned by the Beatles, through all their late sixties innovation, so there may be the true comparison. 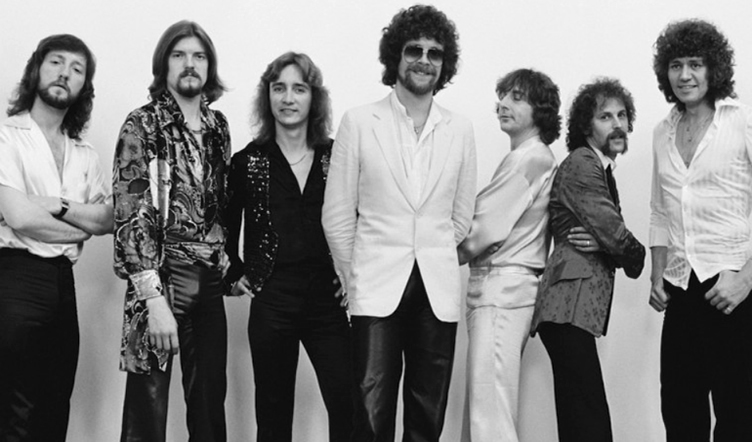 A New World Record begins with “Tightrope”, which comes in with a deep and doomy synth that gives way to strings and orchestral vocals before finally kicking in fully at around 1:15 with the thumping rhythm of drummer Bev Bevan and bassist Kelly Groucutt. An excellent rock song interspersed with the “edge” of orchestral strings and choral vocals, this song sets the pace for the rest of the album allthe way through its concluding “Shangri-La”. 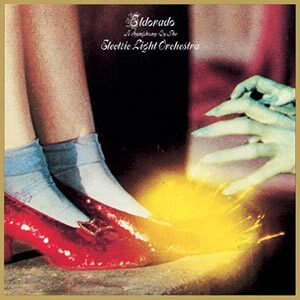 This last song seems to be a play on to the theme song to the band’s 1974 album El Dorado, both mythical places where the music of E.L.O. tries to take us. The beautiful and serene “Telephone Line” is a more traditional love song with a definite late-era-Beatles “Golden Slumbers” vibe, especially during the verse. Vocally, the song is superb with Lynn’s voice starting at extreme mid-range for the “telephone” effect before slowly morphing towards normalcy and the chorus “do wap” section adds an undeniable hook. In contrast “Rockaria”, while still very poppy and entertaining, could not be any less conventional. Perhaps the best song on the album, it literally adds opera to a true rock song, in a way as smooth (if not smoother) than Queen did on A Night At the Opera a year earlier. “Rockaria” constantly fluctuates between an aria and an old time, thumping rock song, all very seamless and sweet, yet truly unique. The first side ends with “Mission”, a quasi-thematic piece with heavy strings throughout with nice sprinklings of Lynne’s guitars and Richard Tandy’s clavichord. The second side kicks off with “So Fine”, a funky song with some modern, almost synthesized sounds complementing that show the band was trying to fit into the disco world as well. 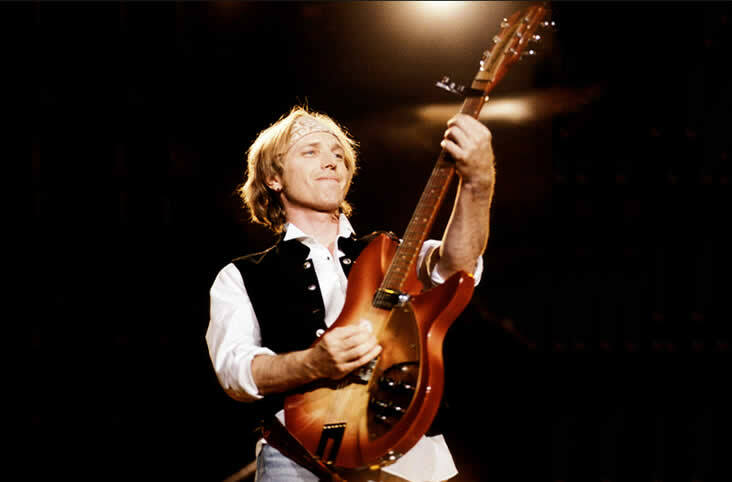 A signature orchestral riff is carried over from “So Fine” to the hit song “Livin’ Thing”, driven by an excellent acoustic rhythm, some majestic lead vocals, and a couple of violin interludes by Mike Kaminski, This would one of the most popular songs ever by the band. “Above the Clouds” follows as an odd but interesting, McCartney-esque song with thumping piano and a subtle Theremin whining in the background through two verses before breaking down with a slow string-led ending. “Do Ya” is pop/rock at its finest, perfect for the era as a radio hit as well as a nice counter-balace to the more serious material on the album. The song is a simple rocker yet impossible to ignore and puts the album well over the top as a commercial success. In the wake of the tremendous success of A New World Record, E.L.O. would go on to produce their most ambitious effort the following year with Out Of the Blue in 1977 and would remain a relevant force in the pop and rock world into the early eighties. Author Classic Rock ReviewPosted on November 30, 2011 February 11, 2017 Categories Album ReviewsTags 1976 Albums, 2011 Reviews, Album Reviews by Ric Albano, British Artists, Electric Light Orchestra, Jeff Lynne1 Comment on A New World Record by E.L.O.